My Guys Moving & Storage donated the moving services of two movers (Saul and Elder) and a truck to assist Keller Williams Loudoun Gateway on their annual “RED Day” – a day of service on which real estate associates take time away from their businesses to serve worthy causes and charities in their local communities. 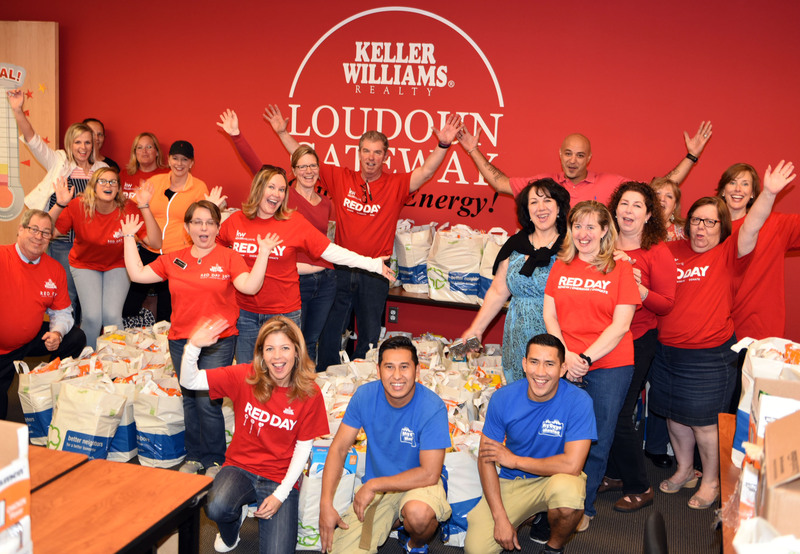 The Keller Williams event raised over five thousand, two hundred dollars ($5,200) which went to the purchase of food that will provide 10 days of meals & snacks (10 breakfasts, lunches, dinners & snacks) for over 180 families of underserved children in Loudoun County. These are students and their families who need a little extra help during the summer months when they are not provided meal assistance at school each day. This year’s committee chairman, Dan Ritchey, was inspired by his sister-in-law, who teaches at a Title 1 elementary school in Montgomery County. She told him that on Fridays, the Backpack Club, kids of low income families, would come to the office and fill up their backpacks with food so they don’t go hungry over the weekend. Their program is very similar to Loudoun County’s Back Pack Buddies. Parent liaison, Liliana Weinberg, helped unload 80 bags of food at Potowmack Elementary School in Sterling. The rest of the grocery bags were delivered to Creighton’s Corner, Discovery, Steuart W. Weller, and Sanders Corner elementary schools in Ashburn, VA. Over 20 volunteers, including Dan Ritchey, Sue Rasoul, and Shannon Lauterstein, made this year’s Keller Williams community giveback a heartfelt success.